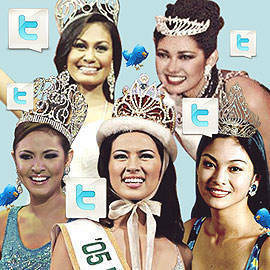 The beauty queens cheer their own, the Twitterati vs. Willie saga continues + more! The beauty queens on Bb. Pilipinas 2011, Jim Paredes vs. Bongbong Marcos, and more! Click for more. Art by Warren Espejo. Photos from PEP.ph (Maggie Wilson), Venus Raj’s official website, Precious Lara Quigaman’s Facebook page, Bb. 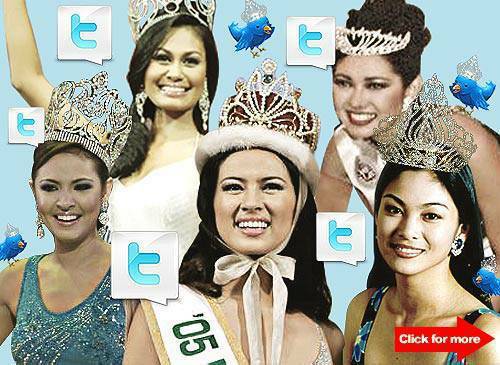 Pilipinas website (Miriam Quiambao), and Pageant Worldwide News (Ruffa Gutierrez).